This week: four siblings find out the days that they will die, plus classic crime fiction by forgotten female authors. In her second novel, Benjamin (The Anatomy of Dreams) constructs an imaginative and satisfying family saga. 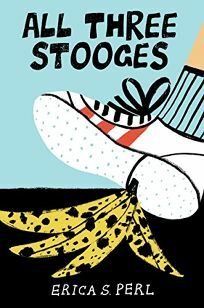 In 1969, the four rambunctious Gold children, Simon, Klara, Daniel, and Varya, visit a psychic on Manhattan’s Lower East Side who predicts the date each of them will die. The novel then follows how the siblings deal with news of their expiration dates. In the late ’70s, Klara and Simon, the youngest, run off to San Francisco, where the closeted Simon becomes a dancer and Klara a magician and stage illusionist who believes she can commune with the spirits of dead relatives. In 2006, Daniel, a married army doctor based in Kingston, N.Y., learns that the psychic who foretold their fates is a con artist wanted by the FBI, and attempts to track her down. In 2010, Varya, the eldest Gold, is a longevity researcher who feels closest to the rhesus monkeys she uses for her experiments. But one day, a journalist named Luke interviews her and, in the process, changes the course of her life. 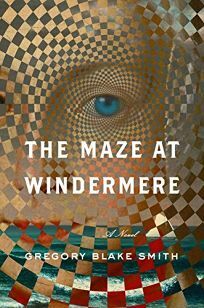 The author has written a cleverly structured novel steeped in Jewish lore and the history of four decades of American life. 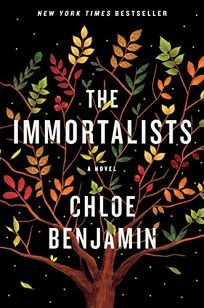 The four Gold siblings are wonderful creations, and in Benjamin’s expert hands their story becomes a moving meditation on fate, faith, and the family ties that alternately hurt and heal. From the chief blogger of Barack Obama’s first presidential campaign comes a provocative debut that wrestles with matters of race, white privilege, and institutional prejudice head-on. The subtly humorous, surprisingly touching coming-of-age narrative is told from the perspective of Dave, one of the only white students at King, a predominantly black and Latino public middle school in Boston. At the start of sixth grade in 1992, he befriends Marlon, a smart black student from the nearby housing projects with a passion for the Celtics and a gorgeous singing voice. The pals wade through typical middle school drama together—flirting with “shorties,” getting bullied by tougher classmates, handling academic stress. Their friendship survives most of the upheaval, until competition over a girl and Dave’s ease at getting ahead get in the way. The significance of the boys’ backgrounds is obvious—Dave might be an outlier at school, but he and his Harvard-educated hippie parents are more set up in life than most in his gentrifying neighborhood. 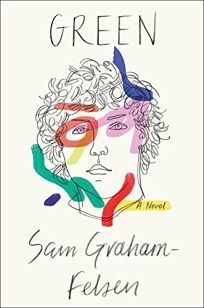 Where Graham-Felsen shines is in his depiction of the pressures put on Marlon to rise above his circumstances and to cope with his mother’s mental illness. The novel is also a memorable and moving portrayal of a complicated but deep friendship that just might survive the weight placed on it. Harkaway’s inventive, mind-bending, and mesmerizing novel interweaves a detective story set in the future with disparate tales of a Carthaginian alchemist, a Greek investment banker, and an Ethiopian painter. Harkaway imagines London in the not-too-distant future as a city where technology meets all security, medical, transportation, informational, and scheduling needs; facilitates democratic decision-making; and monitors emotional well-being. When 61-year-old refusenik Diana Hunter (she prefers books to electronics) dies in custody, Insp. Mielikki Neith investigates. Using the Witness machine to examine Hunter’s last thoughts, Neith discovers a puzzling mix of narratives: the story of alchemist Athenais Karthagonensis, Saint Augustine’s former lover, kidnapped and taken to the Chamber of Isis; the adventures of Constantine Kyriakos, a financial shark who gains wealth and fame after a near-fatal encounter with an actual shark; and the recollections of Berihun Bekele, a painter from Addis Ababa who comes out of retirement to create artwork for his granddaughter, the designer of a computer game so powerful the British government wants to buy her company. 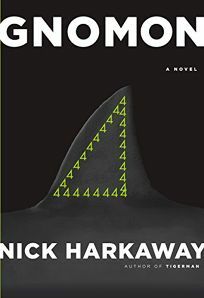 As Neith separates clues from red herrings, Harkaway (Tigerman) reveals a digital dystopia of constant communication, information saturation, and diminishing humanity. Literary spelunkers in particular will enjoy decrypting his social science fiction, rich in literary, historical, and pop culture references and laced with humor and linguistic sleight of hand. 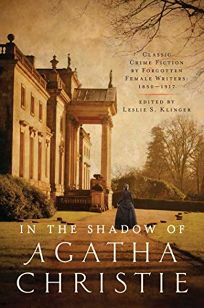 Klinger’s stellar fourth In the Shadow Of reprint anthology (after 2015’s In the Shadow of Edgar Allan Poe) educates readers about genre history and introduces them to talent that’s mainly obscure today. Much more than quaint curiosities, the 16 entries from women crime writers who preceded Christie are enjoyable in their own right. Sherlockians, in particular, will appreciate Baroness Orczy’s “The Regent’s Park Murder,” which appeared in 1901, two years before Conan Doyle’s “The Empty House,” and likewise features the baffling murder of a man who has won at cards. Other highlights include Ellen Wood’s “Mrs. Todhetley’s Earrings,” about a theft case with an amusing O. Henry twist, and C.L. Pirkis’s particularly well-done puzzle, “The Ghost of Fountain Lane,” which features a female rival to Holmes, Loveday Brooke, and links manifestations of the spirit of Napoleon Bonaparte with a stolen check. Klinger burnishes his credentials as a diligent researcher by retrieving even uncredited work (Australian author Mary Fortune’s “Traces of Crime”). This is a must-have volume for classic crime fans. 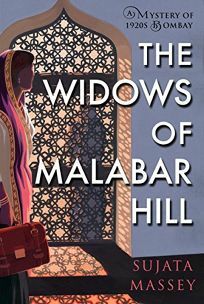 Set in India in 1921, this outstanding series launch from Agatha-winner Massey (The Kizuna Coast and 10 other Rei Shimura mysteries) introduces Perveen Mistry, Bombay’s first female solicitor, who works for her father’s law firm, handling contracts and estate work. Faisal Mukri, the trustee of the estate of recently deceased textile-mill owner Omar Farid, writes to the Mistry firm to request changes in the estate settlement, claiming that Farid’s three widows want to donate all their assets to a charitable foundation that would benefit the needy while paying them an annuity. The paperwork documenting the widows’ intentions appears suspect, and Perveen’s visit to their home and her conversation with Mukri only strengthen her conviction that something irregular is at work. Her due diligence in insuring that the widows’ interests are protected eventually enmeshes her in a murder investigation. The period detail and thoughtful characterizations, especially of the capable, fiercely independent lead, bode well for future installments. Massing (Now They Tell Us), a former executive editor for the Columbia Journalism Review, superbly accomplishes the mammoth task of writing a dual biography of Desiderus Erasmus (1466–1536) and Martin Luther (1483–1546) that places the pair within their historical context. 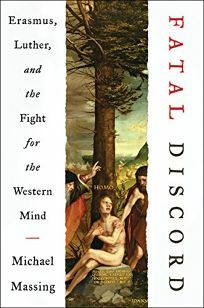 Massing argues that the schools of thought represented by Erasmus and Luther—a pluralistic humanism and an evangelical religion, respectively—still shape Western religious and political thought today. Erasmus, a Catholic priest, lived in the Netherlands; his translation of the New Testament sparked a large debate around authorship and intent. Luther, a German monk, famously launched the Protestant Reformation. Massing writes an entertaining, briskly paced narrative that whisks readers among the Low Countries, Paris, Germany, and England to ground the story within the complex theological history that helped to shape the work and lives of Luther and Erasmus. Apart from a few small stumbles—Massing seems not to understand the significance of the “golden rose” sent to England’s King Henry VIII by the pope, for example, although he later correctly explains the same symbol sent to Elector Frederick—this is a masterly work. Massing manages to juggle the complicated biographies and life work of both Erasmus and Luther while giving the reader a well-written, comprehensive background of pre-Reformation theology. 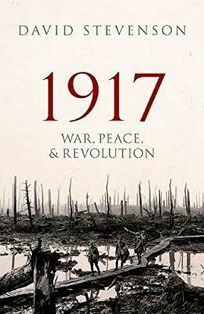 Montefiore’s third novel in his Moscow Trilogy (after Sashenka and One Night in Winter) is a stunning World War II story set on the bloody Russian front outside Stalingrad in July 1942. Benya Golden is a Jewish writer and political prisoner unjustly convicted of treason and sentenced to 10 years in the gulag. Stalin organizes criminals, convicts, and political prisoners into penal battalions known as Smertniki, the Dead Ones, who are thrown into battle as cannon fodder to be redeemed only by combat death or wounds. 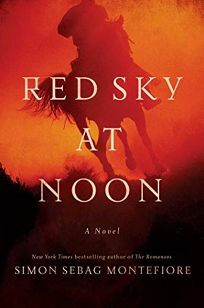 Benya is assigned to a penal Cossack cavalry regiment that becomes trapped behind enemy lines after a disastrous frontal assault. Only Benya and six other men survive the attack. They link up with a band of partisans, not knowing they are part of a high-level Russian deception plan involving Stalingrad’s defense. Ambush, capture, escape, interrogation, and execution await the Smertniki, as the Germans and their Axis allies and the Russians slaughter each other. Benya’s brief, intense romance with an Italian nurse gives him hope where he expects only death, but there is one more mission he must complete before his life is redeemed. (Stalin and his daughter Svetlana play a role in this story, too.) Montefiore’s immersive portrayal of the Eastern Front makes this a gripping, convincing tale. 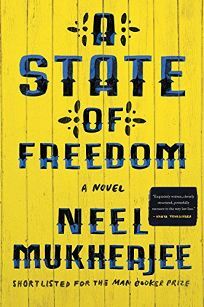 Freedom, as defined by the characters in Mukherjee’s brutally honest and haunting latest novel (after The Lives of Others), is a relative state. Most of them are striving to transcend lives of grinding poverty and degradation in contemporary India, where, though the “untouchable” designation has been abolished, the vicious caste system still victimizes village dwellers and domestic workers. Lakshman has abandoned his family and his dismally poor village to travel with a dancing bear (the bear “dances” when a rope is jerked painfully through his nose), only to realize that he has lost everything and that the bear is his only friend. Renu is a domestic cook in Bombay, working herself to the bone and juggling many jobs in order to pay for her nephew’s education. Milly is forced to rely on a man she does not know in order to escape slavelike servitude to her employers: “She had been untethered, set free, when all she wanted was the safety and security of not being alone.” Soni, who seeks freedom through activism with the Communist Party, discovers she is a prisoner of doctrinal subjugation. An unnamed father comes home to India from America to show his young son his heritage only to tragically realize that he can’t escape the ancient violence that lies simmering under the surface. Seen against a pitiless landscape of primitive villages and hellish urban slums, and the extremes of scorching heat and billowing monsoon rain, this is a compassionate, deeply felt tribute to India’s forgotten people who strive to triumph over subjugation. With its mixture of prose styles and narrative voices, Mukherjee’s novel is a literary achievement. After being expelled from high school, 17-year-old Jane Sinner is taking courses at Elbow River Community College in order to complete her graduation requirements. Jane, who has never met an idiom she doesn’t want to change (“You’re meowing up the wrong tree”), also hopes that Elbow River can provide some needed anonymity. Eager to move out of her family home—where her parents believe that prayer, youth group, and Pastor Ron can fix everything—she signs up to participate in an online reality show at school. Jane enlists the help of castmate and potential love interest Robbie to devise a plan to win, but not before learning a few things about herself. Debut novelist Oelke has created a complex and entertaining heroine in Jane, who narrates in sharp-edged, caustically funny journal entries. 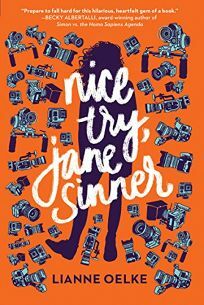 Oelke sidesteps writing about the more difficult aspects of mental illness and recovery—Jane has little interest in addressing past actions readers gradually learn about, and her therapist exists only in her mind—instead keeping this a lighter, snarkier comeback story. Ages 14–up. Twelve-year-old Noah Cohen loves spending time with his best friend Dash and Dash’s father, who turn sleepovers into raucous comedy nights. Noah and Dash are both preparing for their bar mitzvahs, and Noah is dismayed to discover that his is scheduled for the same day as the bat mitzvah of Noa Cohen, his homophonic Hebrew school nemesis. But when Dash’s father commits suicide, Dash withdraws completely, leaving Noah desperate to reconnect with him. After Noah finds Dash’s missing phone, he holds onto it, reading and responding to several of Dash’s text messages, a violation that results in Noah’s bar mitzvah being postponed and much soul searching with help from his rabbi, older sister, and two mothers. Perl (The Capybara Conspiracy) has created a moving coming-of-age journey steeped in Jewish traditions and comedic history, elegantly balancing humor with an honest look at the impact of suicide. While the book’s many references to famous comedy routines may not be instantly funny to those unfamiliar with them, Noah’s genuine voice and tricky situation will have readers pulling for him. Ages 10–up. Restall (The Conquistadors), director of Latin-American studies at Penn State, makes an impressive and nuanced case for why radically reinterpreting the Nov. 8, 1519, encounter between Spanish conquistador Hernando Cortés and Aztec emperor Montezuma leads to a totally different view of the following four centuries. “The Meeting,” as Restall dubs it, is the founding myth of Latin-American history, an event that inhabits the liminal space between history and legend. What is known about the meeting has been gleaned almost entirely from one source: 16th-century foot-soldier Bernal Díaz’s True History of New Spain, which Restall argues is neither true nor strictly historical. Using his knowledge of the Nahuatl language to revisit forgotten texts and parse eyewitness accounts of the Aztecs’ “surrender,” Restall strips away layers of accumulated historical sediment to reveal a meeting that looks very different from the version found in history textbooks and memorialized in the U.S. Capitol rotunda. 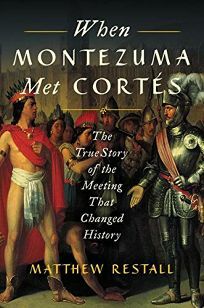 According to Restall, the meeting wasn’t a turning point but rather merely one moment in the Spanish-Aztec War, a brutal two-year struggle historically whitewashed in favor of an account that justifies and reinforces the European presence in the Americas and became the foundation for a false history of indigenous weakness and European superiority. Blending erudition with enthusiasm, Restall has achieved a rare kind of work—serious scholarship that is impossible to put down. Shusterman cranks up the stakes in this blistering sequel to 2016’s Scythe, set on a “post-mortal” future Earth in which easily revived humans are only “deadish” when killed, not permanently dead, except for the few “gleaned” by scythes, who kill to keep population growth under control. The narrative focuses primarily on Citra, who is gaining influence as Scythe Anastasia, and Rowan, who has adopted the mantle of Scythe Lucifer as he furtively gleans amoral scythes. New presences include Greyson Tolliver, an unassuming young man who becomes aware of threats on Scythe Anastasia’s life, and the voice of the Thunderhead, the artificial intelligence that manages virtually all aspects of life on Earth. 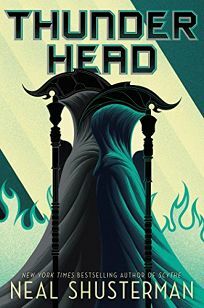 As the political machinations between scythe factions collide, the Thunderhead’s dispatches reflect powerfully on its relationship with humanity (“All I can do is watch unblinkingly as my beloved humankind slowly weaves the rope it will use to hang itself”). 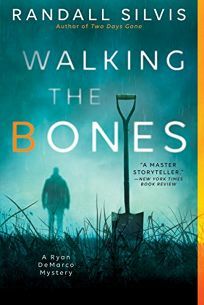 Interweaving heady questions of morality, responsibility, loyalty, and power, Shusterman builds to a devastatingly intense conclusion that sends the characters and larger world into terrifying new territory. It’s difficult to fathom what awaits in the next book. Ages 12–up. In his emotionally expansive new novel, Smith (The Divine Comedy of John Venner) spins out five narratives set in Newport, R.I., from its beginnings as a British colony to its later incarnation as the playground of the very rich. In 2011, tennis pro Sandy Alison falls in love with Alice du Pont, the crippled heiress of the Windermere estate, despite the machinations of Alice’s jealous sister-in-law and scheming best friend. In 1896, Franklin Drexel, a closeted gay man known as a lapdog of society ladies, tries to court the well-off Ellen Newcombe over the objections of her father. In 1863, a callow Henry James—yes, that Henry James—having decided to forsake his law studies to become a writer, comes under the spell of a young woman, Alice Taylor, forcing him to choose between art and life. In 1778, Major Ballard, a British officer charged with the defense of Newport during the Revolutionary War, becomes obsessed with a young Portuguese Jewish woman, Judith Da Silva, leading him to commit a shocking breach of military decorum. And in 1692, Prudence Selwyn, a Quaker woman whose father was lost at sea, strives mightily to make good matches for herself and her slave, Ashes. Taken individually, each story is dramatic and captivating, but as the author makes ever-increasing connections among the stories and shuffles them all into one unbroken narrative, the novel becomes a moving meditation on love, race, class, and self-fulfillment in America across the centuries.